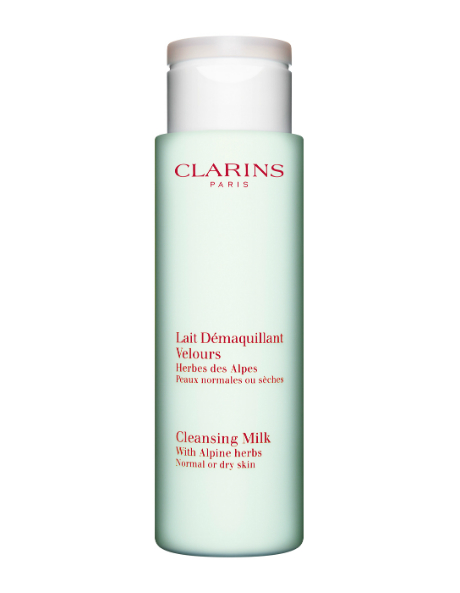 Soothing cleansing milk lifts away make-up and impurities with spa-like efficiency. Clarins blend of softening and toning plant extractsincluding Alpine Herbs, St. Johns Wort, Sweet Almond, Marshmallow and Lindenhelps maintain skins perfect moisture balance for optimum comfort and radiance. Leaves skin feeling soft, supple and perfectly refreshed.